With the terrible beginning to the brown shrimp season resulting in a new groups of claims being filed, we could be witnessing a new reality in the Gulf, one where the fisheries and the sea life have not come through the past year unscathed. With the dead dolphins, the meager oyster beds and now the brown shrimp catch being way off, what other surprises might be lurking under the water? And should it affect Feinberg’s plan to close down the claims offices along the Gulf Coast? Note, I said “should” affect, because it would appear Feinberg has little intention of altering his plans. Despite Jefferson Parish officials fighting these closures, Feinberg has not indicated in any way he will refrain and keep them open, no matter how many shrimpers now wish to file. Equally as important, this plan to wind things down doesn’t appear to take into account an awaited ruling by Judge Carl Barbier. Last week, British Petroleum argued in Barbier’s court up to 130,000 filed lawsuits should be dismissed under the Oil Pollution act of 1990. BP’s lawyers believe that before these suits can be filed, they must first attempt to seek damages through the GCCF, and if they are denied, then they can go to court with their damage complaints. If Barbier should agree and dismiss these lawsuits, it could result in up to 130,000 new claims entering into the GCCF process…whether this will happen or not is unknown, yet still Feinberg sees fit to begin closing down claims offices. 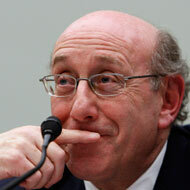 And do I really need to mention, yet again, how few interim claims Feinberg has paid? Or depending on Barbier and the Gulf of Mexico, maybe we’re just about to get started, again.